While those of us in marketing or PR are quick to applaud technologies that allow us to do more, reach more, or earn more, we don’t seem to have the same attitude about updating our measurement tools and processes. And so we continue to use legacy systems that no longer serve. Take Advertising Value Equivalency (AVE), for example. Many public relations professionals continue to measure media exposure based on what the equivalent costs in advertising would be. And yet, that’s not a precise measure when it comes to earned media. Measuring a tweet, a review, or a media mention has stumped many a PR pro, and so we often resorted to the system we knew best. Either that, or we don’t bother measuring results at all because we think doing so will be overly complicated and not worth their time. This is such an alarming state, and it could have a serious impact on PR and marketing if it’s not rectified. But what’s the solution? What if, as we reach new heights with how our brands are seen through various media channels, we match that uncharted territory with an updated and more appropriate measurement strategy? How Mature Is Your Earned Media Measurement Strategy? Take Our Free Assessment To See How You Stack Up. While, yes, it’s comfortable to continue to use the metric systems we’re familiar with, they actually can do more harm than good. AVE is impression-agnostic. What I mean is that it ascribes the same value to media coverage, whether it is positive or negative. So if someone rants and raves about your product and that spreads like wildfire, the AVE metric gives the reach two thumbs up. You see what’s wrong here? We need to know what sort of impact a given media mention had, either positive or negative. And Opportunities to See (OTS) is just as outdated. Measuring the number of times a consumer is likely to see a marketing message in no way reflects how often she actually does, and what she thinks of it. So if these outdated measurement systems are no longer serving, why do we keep them around? That old adage “if it ain’t broke” rings true in marketing and PR. Many would moan that nothing needs to be changed, that the old systems of AVE and the like are good enough. If you can add up how many people your coverage may have reached, or the approximate value of that media mention, why do you need additional insight? But measurement — particularly concise measurement — is necessary in order to understand which messages and earned media had the biggest impact on people’s perceptions of your brand. Done correctly, it can provide detailed information about the types of coverage and sources that drive sales and attract leads. And speaking of brand perception: it can fluctuate wildly with a single negative mention. So being able to see which way the winds are blowing on a given day can quickly alert you if anything is out of the ordinary. This gives you the opportunity to launch your crisis communications plan if necessary. Another reason to shift your thinking? The folks who sign the checks for your marketing spend want validation that their money is being put to good use. If they continue to spend a significant amount each month without seeing concrete results, you run the risk of your budget drying up. Being able to justify the spend with detailed reports showing ROI on your marketing and PR efforts keeps them happy. So you can see that there’s value in changing how you and your colleagues view and use metrics. Yes, it may take some time to learn a new system or software, but if that would give you the benefit of concise results that would help you boost future campaign results, isn’t that shift in thinking well worth it? Just as technology constantly changes, so should our response to it. That’s why research and data are so instrumental in helping the PR industry understand results. Knowing, for example, that your recent social media campaign influenced your target audience more than the press release you issued can spur you to put more attention into social media for future campaigns. Digging even deeper, you could identify the specific social media channels and social updates that saw the most traction. Every tiny aspect of a campaign matters, down to the verbiage of your tweet. Having a granular view of precisely which messages moved your audience to action is hugely helpful. And where we couldn’t tie earned media to sales in the past, tools like Cision Comms Cloud™ now show tangible business results. Not only can you see which media outlets sent traffic to your website, but also which visitors from those sources moved into your sales funnel or even converted to customers. 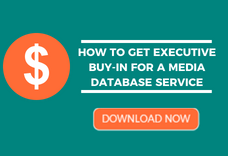 You have such detail at your fingertips that you can precisely measure results down to the sale, giving you ROI details that you can take back to the powers that be as proof that what you’re doing is working. The media world is changing. As social influencers grow in their value to brands, and as consumers wane in their trust of traditional media, you will need a strategy that effectively monitors your earned media efforts. And earned media is such a wonderful tool for introducing more people to your brand, creating qualified prospects, and engaging your customers through the right channels. Don’t put all your efforts in pitching and getting media placement to waste by simply throwing your hands up rather than dealing with measuring results. Instead, embrace metrics platforms that help you do your job even better. But don’t just look at the data; act on it. Whatever the robust analytics are telling you should be a clue as to what you can tweak to improve results. We live in a new and exciting media world. Now that we have the tools to navigate it, let’s fully take advantage of them. 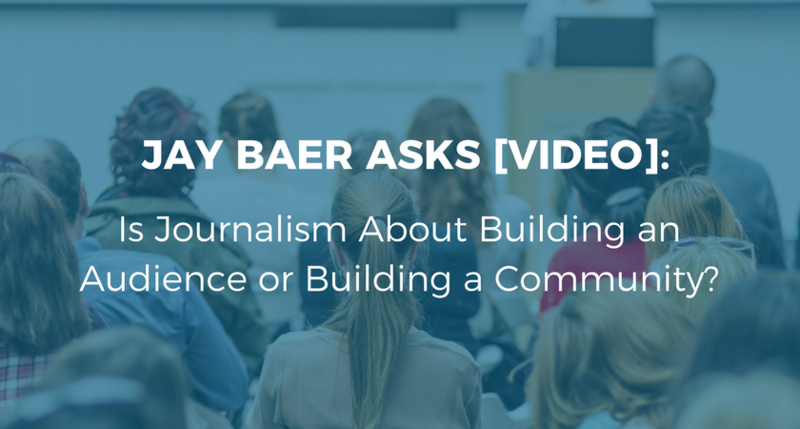 Jay Baer Asks [VIDEO]: Is Journalism About Building an Audience or Building a Community?